A recently released survey found that a large majority of millennials believe there should be tighter restrictions on abortion in the U.S. In fact, they tend to disagree with most of the Democrat party’s key issues. The shocking new survey, commissioned by Students for Life of America’s (SFLA) Institute for Pro-Life Advancement, states that 93 percent of millennials in America do not agree with the Democrat Party platform on abortion. “Millennials have lived with the harsh realities of abortion all their lives and understand more than their parents’ generation that we must address the human rights issue of our day and make changes in defense of mothers and their preborn infants,” the president of Students for Life of America (SFLA) Kristan Hawkins wrote in a recent Washington Times op-ed. The poll, generated by The Polling Company, inc./WomanTrend, states that only 7 percent of millennials believe that taxpayers dollars should go toward funding abortions. 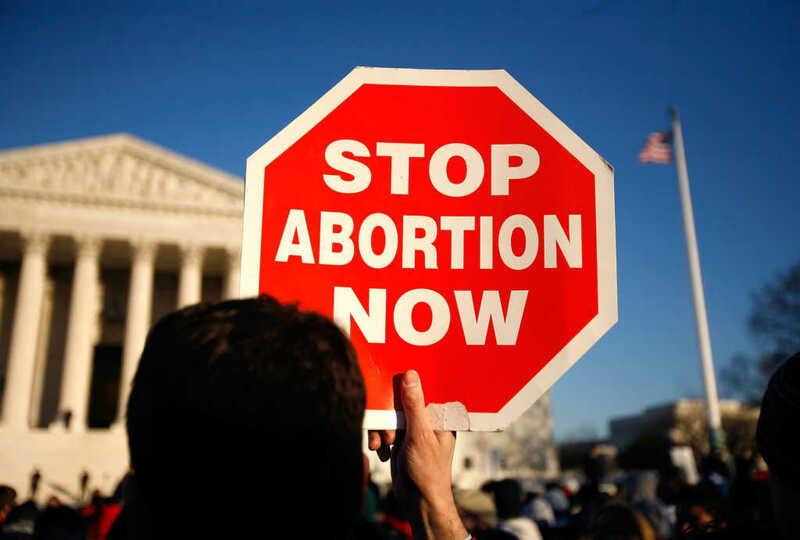 They also found that only 7 percent believe that abortions should not have any sort of legal restrictions in the United States. There is a stark difference between what millennials think is right, and what the Democrat party platform states. The poll surveyed 400 adults, who came from a variety of backgrounds. Eighteen percent identified as Republicans, while 20 percent identified as Democrats and 56 “independent.” The respondents were almost split when it came to gender, with 52 percent women and 48 percent men. The margin of error was 4.9 percent. Although the respondents to the survey came from different ideological backgrounds, the majority agreed that they wanted to have a voice when it came to abortion policy. When asked about Roe v. Wade, 41 percent of millennials stated they wanted the court case to be reversed, with 27 percent undecided, and 33 percent opposed. After that question, participants were informed that Roe v. Wade allows abortions through all nine months of pregnancy, and many changed their positions. After altering their positions, 51 percent said they were for the reversal of Roe v. Wade. Those survey also showed that millennials want increased voting on abortion policy. In the survey, 65 of millennials stated that they wanted to vote on abortion policy, while only 16 wanted to keep it as is, and 19 were undecided. It is shockingly clear that if given the choice, voting millennials might make the choice to reverse Roe v. Wade or change other abortion policies. Meanwhile, the eleventh annual Marist Poll Survey on American attitudes toward abortion found that a majority of adults also agree that Roe v. Wade should be reversed. “Almost two-thirds of Americans (65 percent) also say that if the Supreme Court revisits Roe v. Wade then the Court should rule either to allow restrictions as decided by each state,” the Knights of Columbus, who commissioned the poll, reported. “We ended up finding that almost two-thirds, 65 percent, would like the court to reinterpret Roe, revisit that decision in a way that would functionally overturn it,” Knights of Columbus Vice President Andrew Walther told The Christian Post at the time.